The Deena Speaks Dog Kit for Rescue Dogs contains everything that you will need to help your dog to feel secure in his new home while helping you to understand and deal with the underlying causes of his behaviour. Dealing with an unhappy or poorly behaved rescue dog does not have to be an overwhelming experience. 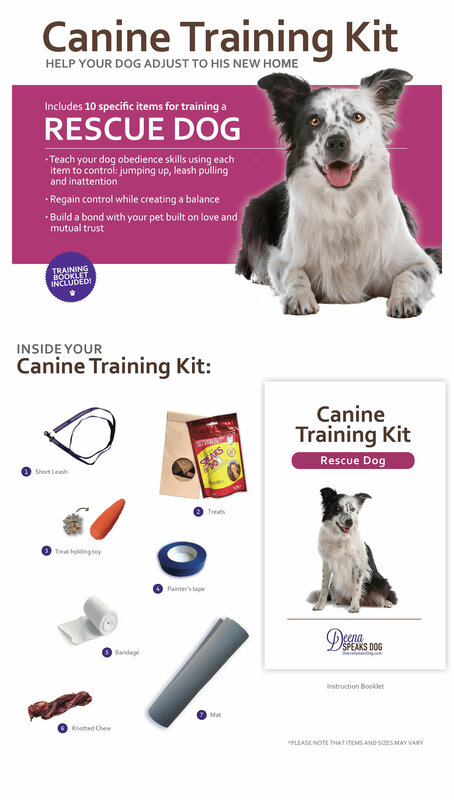 The kit contains exercises that help create a bond between rescue dog and his master and acclimatize the dog to his new environment.